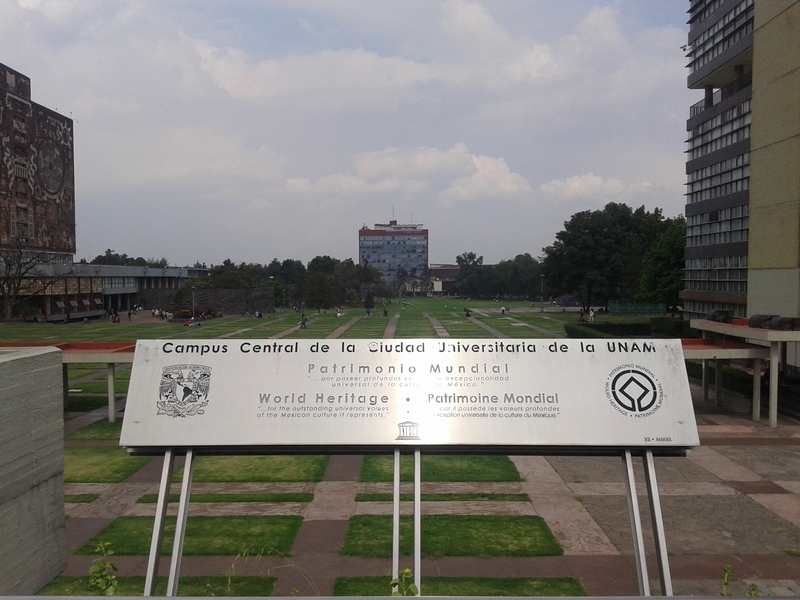 Better late than never, here is a quick report on my brief visit to the Universidad Nacional Autónoma de México in April 2015 — a very kind invitation by Atocha Aliseda and Fernanda Samaniego. 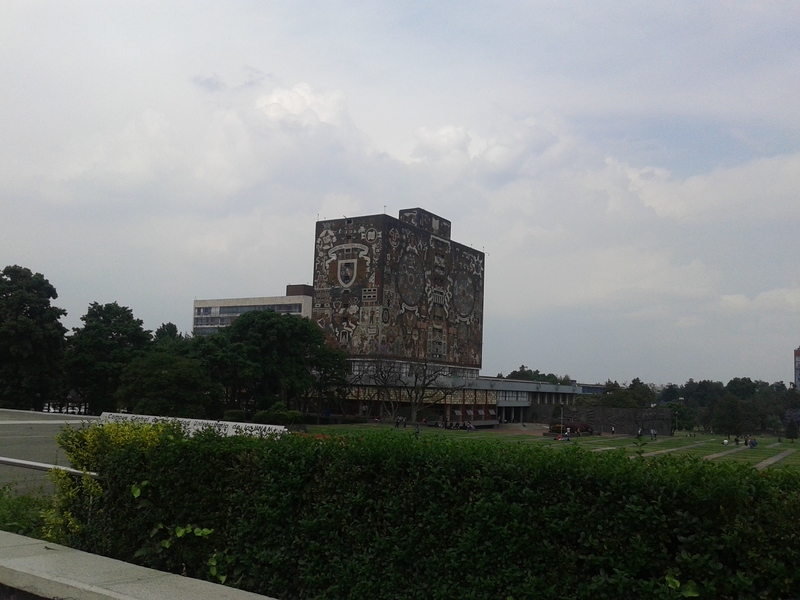 It has been an intense week, filled with marvellous discussions with colleagues and students at the Instituto de Investigaciones Filosóficas, meetings with good old friends from the Canterbury times, and even with some sightseeing — in Mexico City, I visited the Museo Interactivo de Economia and the Museo Nacional de Arte. My Monday lecture was part of the Seminar on Logic and Heuristic organised by Atocha. The themes of their seminar is much broader than what the title suggests. I presented some ideas about philosophy of medicine, specifically how to understand medicine (as an umbrella term that includes several types of medical practices) and what kind of philosophy of science questions I consider interesting therein. Part of what I presented at the seminar is work in progress with Brendan Clarke. On Tuesday I have a long lecture on causal modelling in the social sciences. This was part of an MA course on explanation, so the focus was what we can explain using causal models in social research, and how. I tried to condense much of what I know about causal modelling in these slides. A lot of what I presented is in my first monograph (Causality and Causal Modelling in the Social Sciences. Measuring Variations. Springer 2009) and in some more recent papers. Students asked plenty of questions — it has been a pleasure lecturing them! Finally, my Wednesday talk was part of the seminar of the Institute: a broad and heterogeneous audience indeed! I presented what we might call causal pluralism 2.0. This is joint work with Phyllis Illari. Together we wrote a monograph on causality (Causality: Philosophical Theory Meets Scientific Practice, OUP 2014), the aim of which is to put some order in the vast philosophical literature on causation. Our goal, however, goes beyond offering just an introduction to causality. We also offer a view on how all these strands, pieces of the literature may (or should) stand together. We defend a qualified version of causal pluralism, that we explain in analogy with building a mosaic. More explanation in the slides below, and in chapters 23-24 of our book! I’m so grateful to Atocha and Fernanda for the fantastic occasion to present my work, but mostly for their fantastic hospitality. They really made me feel home. I hope to go back some time soon! In the middle of the UvA protest, of a flu, and of an intensive semester filled with teaching, I escaped to beautiful Venice — the Amsterdam of the South ! — to talk about various things, among which causality, modelling, and computer science. I delivered the first lecture at the Department of Management of Ca’ Foscari. The talk is based on some joint work done with my friend and colleague Alessio Moneta. The idea of drawing a conceptual distinction between associational models and causal models is useful, we think, to improve on our modelling practices. However, in practice, the two are not so much separated. The second lecture was part of Eleonora Montuschi‘s course Philosophy of the Social Sciences. She had asked me to give a presentation on causality. As usual, the big challenge is to give a sense of the beautiful complexity of the causality debate without scare people! I decided to focus on selected methodological and epistemological issues so that it would be a ‘natural’ follow up of the previous lecture. The last day I took part in a workshop organised by Marcello Pelillo: Philosophical Aspects of Computer Science. We gather together to brainstorm about various ideas, approaches, questions, etc related to computer science and that we tackle in our own research. I have to admit that computer science does not exactly fall into my own area of expertise, and yet I discovered that I had a lot in common with them, and certainly many overlapping interests! This is the second talk I gave in Brazil, in October 2013, in occasion of the V Seminar on Technology Management and Innovation in Health, where epidemiologist Mauricio Barreto organised a round table on Evaluation of Health Impact of Technological Interventions. There, I presented work on EBM and evidence hierarchies (output of a joint project with Phyllis Illari, Brendan Clarke, Donald Gillies, Jon Williamson). By the way, if you are interested, we also set up a blog, called EBM+! #Topoi Issue on #Evidence and #Causality in the Sciences is out! Most papers in this special issue have been presented at the conference ‘Evidence and Causality in the Sciences’ that took place at the University of Kent in September 2012. Right now the causality conference is running in Cologne, the theme this year is ‘Causality and Complexity in the Science’. According to current hierarchies of evidence for EBM, evidence of correlation (e.g., from RCTs) is always more important than evidence of mechanisms when evaluating and establishing causal claims. We argue that evidence of mechanisms needs to be treated alongside evidence of correlation. This is for three reasons. First, correlation is always a fallible indicator of causation, subject in particular to the problem of confounding; evidence of mechanisms can in some cases be more important than evidence of correlation when assessing a causal claim. Second, evidence of mechanisms is often required in order to obtain evidence of correlation (for example, in order to set up and evaluate RCTs). Third, evidence of mechanisms is often required in order to generalise and apply causal claims. While the EBM movement has been enormously successful in making explicit and critically examining one aspect of our evidential practice, i.e., evidence of correlation, we wish to extend this line of work to make explicit and critically examine a second aspect of our evidential practices: evidence of mechanisms. Public engagement event: Your health, what is the evidence? The most wide-ranging change in medical practice in the past two decades has been the introduction of evidence-based medicine (EBM). The EBM project, which calls for the explicit examination of evidence to guide healthcare decisions, has made a significant difference to the practice of healthcare. However, the complexity and sheer quantity of medical evidence means that tools for assessing this evidence are of crucial importance to this project. For example, the quality of evidence supporting a particularly health intervention might be assessed by examining the method by which that evidence is produced. Typically, this kind of ranking suggests that randomised control trials (or meta-analysis of randomised control trials) will produce better evidence than other trial methodologies. This means that evidence produced by other means, such as that arising from laboratory science, or from observational studies, is usually regarded as unsuitable when it comes to clinical decision making. However, recent philosophical work has cast some doubt on the wisdom of relying on just one form of evidence when considering complex medical interventions. For instance, it seems possible to improve the reliability of evidence gained from clinical trials by judicious use of evidence gleaned from laboratory investigation. This suggests that current schemes of ranking biomedical evidence may be capable of some improvement. This evening event presents some results of a preliminary project designed to investigate these questions, together with some lively discussion between philosophers and medical practitioners about the role of ranking evidence in supporting good scientific practice. Participants: Brendan Clarke, Phyllis Illari, Federica Russo, Jan Vandenbroucke, Jon Williamson. Thanks to the generosity of the Arts and Humanities Research Council, the event will be followed by a reception in the Wilkins Lower Refectory [see here for directions]. The event is free, and there is no need to book. Contact Brendan Clarke (b.clarke@ucl.ac.uk) for any queries. Presented at the Information and Autonomous Systems Research Group, University of the Basque Country.